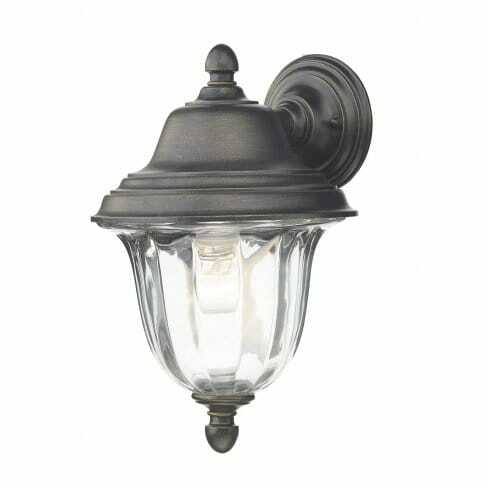 Dar Lighting Aldgate Black gold Outdoor Wall light with clear ribbed glass. The product code for this Dar wall light is ALD1635. This fitting is IP44 rated with a 5 year gurantee.